Remember Kehmistry? The Malaysia mobile app we wrote about few weeks back? In conjunction with the today’s Valentine’s Day, it is only natural that the mobile app officially launch its service to the public, and is now available for download on the app store. 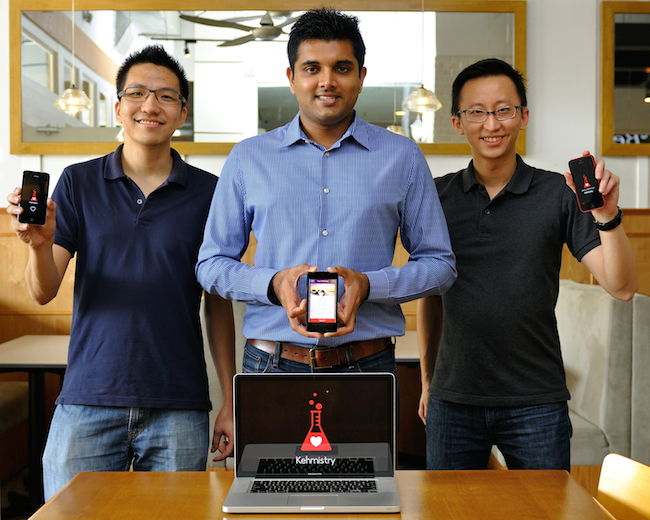 “It is with great pleasure that I introduce Kehmistry to everyone in Malaysia and beyond! Kehmistry was designed for busy, middle-class, urban professionals under 35 years old that find it hard to find time to date. 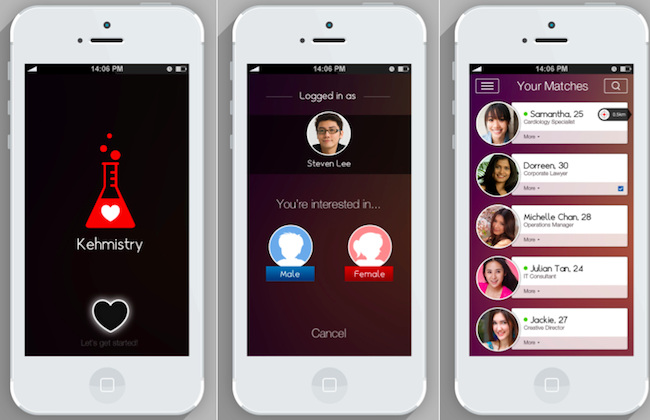 With Kehmistry on your smartphone, you don’t have to make extra time to date” said Bernard Lim, Co-Founder & Chief Executive Officer, Kehmistry. 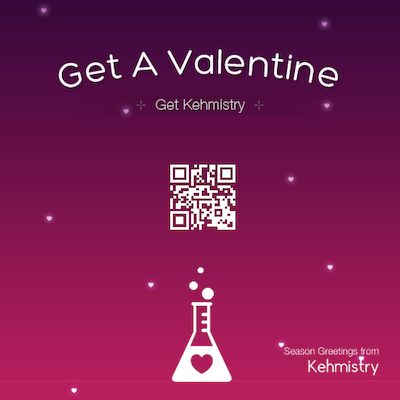 Kehmistry uses your phone’s geolocation and identifies singles around you. Matches are done through the preference settings you entered when you set up your account. You can chat up with these singles. Users will need to sign in with their Facebook and their account needs to have at least fifty friends. This ensures that they use their own Facebook account and not a fake profile (e.g. : BradPitt1234 with a picture of Brad Pitt as their profile photo). Lastly, Kehmistry employs an yellow / red card system to ensure a safe and fun environment. Anyone can report or ban another user and once a user has three yellow cards, they are red carded (permanently banned from the system – subject to review and moderation). And because they have signed up using their mobile number and Facebook account – they will be blocked off permanently. In conjunction with the launch too, Kehmistry has partnered with one of Malaysia’s telco U Mobile to help users find love this Valentine’s Day. The partnership will see U Mobile marketing Kehmistry to its userbase, and in return, U Mobile will also get social media marketing from Kehmistry. Other than that, the new mobile app has partnered with private on demand chauffeur app Uber and Sothys Malaysia to give out close to RM30,000 worth of prizes to its users. Some of the attractive prizes include Samsung Note 3’s, hotel stays, dining vouchers, Uber private limousine rides and Sothys Malaysia products amongst others. Winning is easy, you just have to download Kehmistry onto your smartphone and start using it! The winners will be picked automatically. Increasingly, we are starting to see mobile telcos working with startups and technology companies to provide more value add to their users. Another recent partnership we covered was the one of music streaming site Deezer, which partnered with DiGi, one of Malaysia’s main telco, to give special rates to their subscribers. We expect more partnerships between synergistic companies to take place in the near future. In Singapore, dating apps here are actively engaging their users too, through exclusive perks as well as interesting marketing campaigns. We’ve covered them quite extensively, and one that caught our attention was LoveOutLoud, where it is offering a date, a free dress and a free dinner to a lucky couple.